Voting for the party or the person? We say we have “voting power,” but we have settled merely for the “power to vote.” We fight for the “right to vote” but we fail to “vote right.” Voting is a means to gain political power, not an end that simply allows one to participate in the act. As true as those statements are and as many times as we have heard the phrase, “This is the most important election of our time,” and as much as we can see our lack of political reciprocity for our precious votes, we continue to fall for the same old tired political clap-trap prior to every election. Today, Black people vote overwhelmingly for Democrats, as opposed to pre-1933, when the vast majority of Blacks voted for Republicans. Talk about a schizophrenic voting bloc, that be us, y’all. And what do we get in return? A good feeling, that is, until the next election rolls around and the usual suspects return to tell us how important “this” election is and how we should vote their “straight ticket” once again. They want us to believe that all Dems are good and all Repubs are evil. That’s insulting to Black voters. All the Black electorate does is provide jobs for politicians, some of whom care nothing about us and haven’t done a day’s work in office since we put them there. To make our political situation even worse, many Black voters simply, and I do mean “simply,” vote for anyone who claims to be a Democrat. They vote for the party rather than for the person. Quite frankly, and I say this in love, that’s just stupid. Why do we keep falling for this hype? We achieved what most Black people considered the ultimate level of political victory when Barack Obama was elected, yet, since 2008 Black folks have made little or no progress; we still languish at the bottom in the most important category: Economics. Locally, we have elected and supported Democrats who have run our cities into the ground and left their constituents, Black folks, frustrated and marginalized. Yet, we continue to subscribe to the “Vote Democrat!” mantra. The way we participate in politics is shameful and childish. All we want is the right to vote, which we couch in terms of “voting power.” If it were power we’d be getting something in return for our vote. Regardless of how much we are taken for granted, we keep coming back, subjecting ourselves to it like a bunch of masochists. Some Black folks say they do not vote for the party, rather they vote for the person. That’s easy to say, but in the voting booth it’s obviously a different story. I wonder if Barack Obama would have won if he had been a Republican. As I said, the Black electorate, after all of these years in the political game, is still naïve and amateurish. We are still playing just to play and not to win. We remain in the clutches of talking-head commentators who carry the water for the party and instruct us to vote the way they tell us. And we do it! Before any of you dyed-in-the-wool Democrats get angry because I downed your party, understand that I have the same thing to say about the Republican Party. I believe we must be independent, not necessarily as a structured political party. We should be independent in our thinking and reasoning. That’s what the game is really all about. If we are not getting anything from the game, why are we playing? The right to vote is important, but we reduce and insult the franchise by wearing political party blinders. Stop listening to and following the political hacks’ instructions regarding party-line voting. Vote for the person based on his or her record of having worked in your best interest; do not vote for one nebulous political party that cannot be held accountable for ignoring us or taking us for granted. 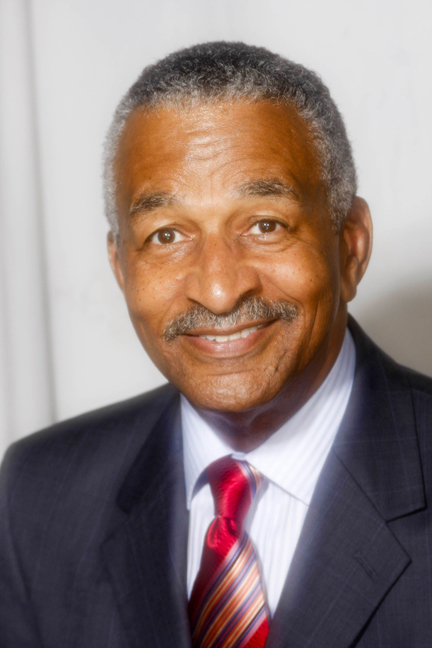 Jim Clingman, founder of the Greater Cincinnati African American Chamber of Commerce, is an adjunct professor at the University of Cincinnati and can be reached through his Web site, Blackonomics.com.